Newburyport Harbor Marina offers 65 deep water slips, just 2.5 miles from the mouth of the Merrimack with 70 slips in total. Whether you’re visiting a weekend, a week or a month, this location is geared to serve as a hub for the seasonal, transient and guest boater. 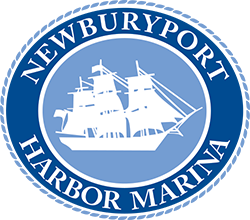 Newburyport Harbor Marina offers 65 deep water slips, just 2.5 miles from the mouth of the Merrimack with 70 slips in total. Whether you’re visiting for a weekend, a week or a month, this location is geared to serve as a hub for the guest or transient boater. Stop by the Newburyport Harbor Marina fuel dock to refill at our Valvtect premium gas and diesel high-speed pumps. Just a short walk to downtown shopping and dining, Newburyport Harbor Marina features its own store which offers bait, tackle, soda, ice, apparel, marine supplies and other retail merchandise. Feel at home by using the onsite laundry facilities, watching cable television, and at ease knowing the marina features a gated security system. Stop by the Newburyport Harbor Marina fuel dock to refill at our Valvtect premium gas and diesel high-speed pumps and leverage the 30 / 50 / 100 amp electric service while you wait.